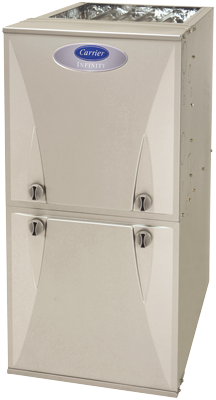 Your heating equipment is one of the most important systems in your home. Take the very best care of it with service from 7 Services Inc.. We work on all brands, handle everything from minor to complex issues, and do the job right. Our goal is to keep repairs simple, quick, and affordable, eliminating the long wait times, multiple house calls, and unpleasant surprises that cause unnecessary stress. Your NATE-certified technician will arrive on time, accurately analyze your system, and provide the information you need to make smart decisions. We offer cost-effective options, upfront pricing, and only begin work with your approval. A fleet of trucks, fully stocked with Factory Authorized Replacement Parts and sophisticated tools, make sure we’re prepared to accomplish the majority of services in a single visit. You can depend on 7 services for your heating repair and all of your HVAC service needs. Heating repair should not be neglected! If you’ve been getting by with noisy operation, unpleasant smells, or reduced capacity, it’s time to get your heating system back on the right track. Minor issues are more than just an aggravation. They disrupt your comfort, elevate operational costs, risk more extensive damage to the system, and endanger both your safety and air quality. A fault with one component places added stress on the unit as a whole, causing higher energy consumption and leading to bigger problems. There is the possibility of dust, bacteria, or even carbon monoxide entering the airstream. Consider that the longer you neglect warning signs, the greater the risk of danger, damage, and higher costs for repair. Let the factory trained specialists from 7 Services Inc. handle any difficulties with your heating equipment, verify safe operation, and optimize efficiency. Let the professionals from 7 Services Inc. deal with your heating repair service efficiently and accurately! 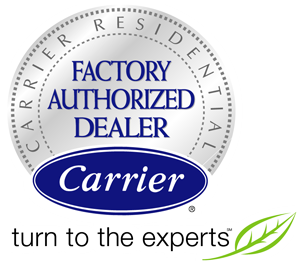 As a Carrier Factory Authorized Dealer, the team from 7 Services Inc. participates in technological updates specific to installation, maintenance, and heating repair, ensuring up-to-date knowledge and unmatched expertise. We rely on Factory Authorized Parts, when possible, to restore original sound levels, durability, and efficiency. Know that we are dedicated to providing long term solutions to equipment malfunctions, eliminating repeat problems, and promoting system reliability. 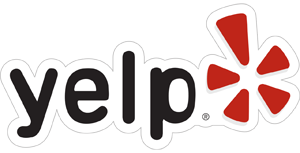 Our goal is to fulfill all of your heating and cooling needs, and we earn your trust through professional, courteous, and affordable service. We are always available to provide the assistance you need, with 24-hour Emergency Heating Repair Virginia Beach, Chesapeake, Norfolk, Portsmouth, VA and surrounding areas At 7 Services Inc., we do it all, and the heating repair and all of our services is guaranteed. For more information about Heating Repair call 7 services today!